Epta Asia participated with its Bonnet Névé, Misa and Iarp brands at Fine Food Australia, the country’s biggest trade fair devoted to the Food & Beverage and Ho.Re.Ca. sectors, which was held in Sidney from 11 to 14 September (stand HN10). An event conceived to celebrate the trends of the future and to present new concepts and technological innovations. Among the products that were presented the Iarp Cool Emotions Range, Iarp-branded Svaba promotional island and Stylix by Bonnet Névé stand out. The protagonist was the Iarp Cool Emotions Range: JOY, GLEE and DELIGHT are incorporated group cabinets that stand out for their coordinated design with elegant forms, to make impulse buying irresistible in cafés and ice-cream shops. Specifically, the Joy 30 semi-verticals are ideal for the display of beverages, the Glee verticals are devoted to beverages and ice cream, and finally Delight is the scooping appliance for unpackaged ice cream. A strong point of the range is its extreme customization, ensured by the introduction of digital printing directly on sheet metal. The Iarp-branded Svaba promotional island was also presented, in a trail-blazing release designed ad hoc for the Asia Pacific market. New technical characteristics have been added to the exclusive design that is already its hallmark: with its modern, spare lines, this plug-in combines quality, technology and outstanding performances. Finally, the utmost flexibility is ensured thanks to the “smart switch” function that makes it possible to pass from BT to TN mode and vice versa and to adapt to the needs of Ho.Re.Ca. operators at any time. Among the new developments that it will be possible to discover at the stand are also Stylixby Bonnet Névé, an ultra-thin refrigerated plug-in table with patented ThinTech technology. The bold aesthetics, the result of hi-tech minimalism, combine with visual merchandising and functionalities for a surprising force of attraction. 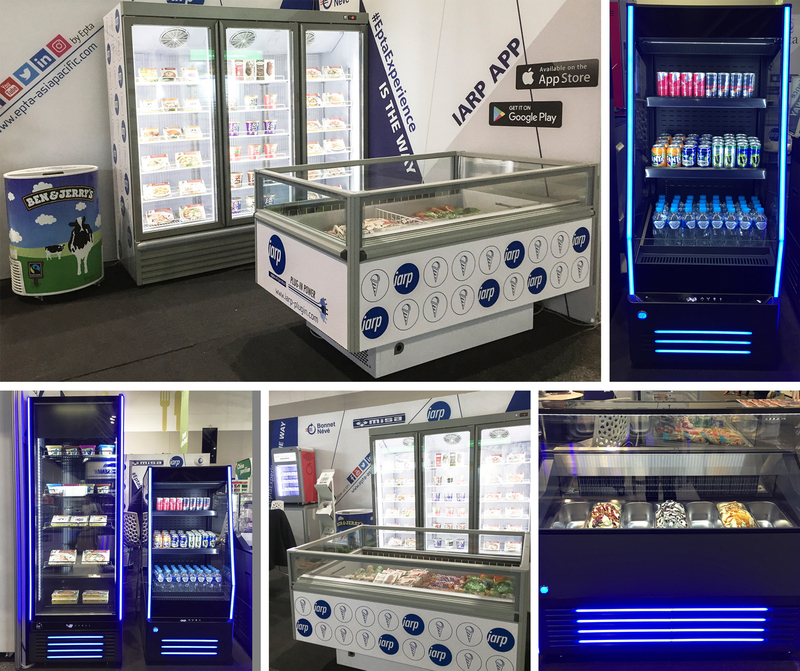 In detail, Stylix offers multiple configurations and is available in various models to respond to the necessities of every type of small sales outlet, from confectioneries to butchers’ shops. It is available in both self-service and assisted service, in both semi-vertical and steam-warmer versions.